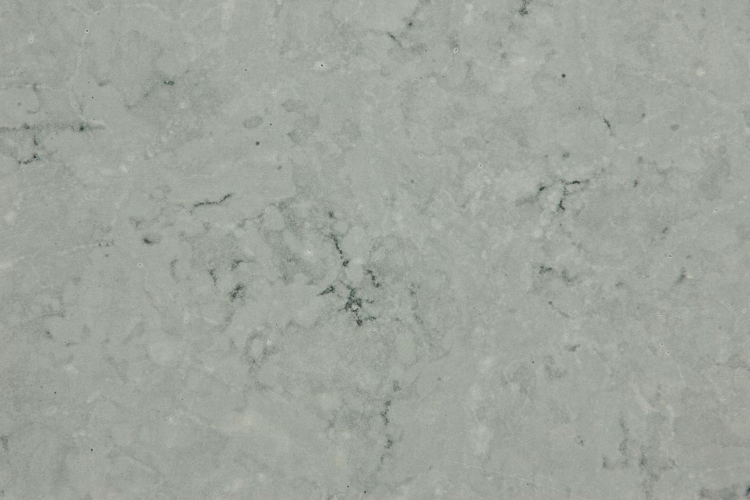 Alevik is a type of limestone that has undergone what is called”dolomitication”. It consists mainly of magnesium carbonate. Aesthetic characteristics: white to light gray in colour with a green and yellow tint. Small pores and fine grain structure. Impression: soft, smooth and spongy that hardens with time. Treatments: honed, brushed or grated. Lindanäs - our most popular limestone. Linadäs is a pure limestone, a type of stone consisting mostly of Calcium Carbonate (CaCO3). Aesthetic characteristics: light to mid gray. Medium to large variations of colour, structure and texture. Small pores and fine grain structure. Fossil imprints. Rosenthal is a type of limestone that has undergone what is called”dolomitication”. It consists mainly of magnesium carbonate. Aesthetic characteristics: white to light gray. Medium to large variations in colour (green, yellow, red), structure and texture. Small pores and fine grain structure. The most common use of limestone is as floors and walls and it can be used in dry as well as wet spaces. Östersjösten offers a large number of different widths and lengths, the most common being 200 and 300 mm falling lengths. Falling length means that the length of each tile varies between 400 to 700 mm. This variation gives the tiles a more dynamic impression where they come alive. We are also happy to deliver square tiles, for example 30 by 30 mm, should you wish for a more symmetric feel. The tiles come with different types of finish where ground, brushed and polished are the most common for indoor use. For wet spaces we recommend round or brushed. 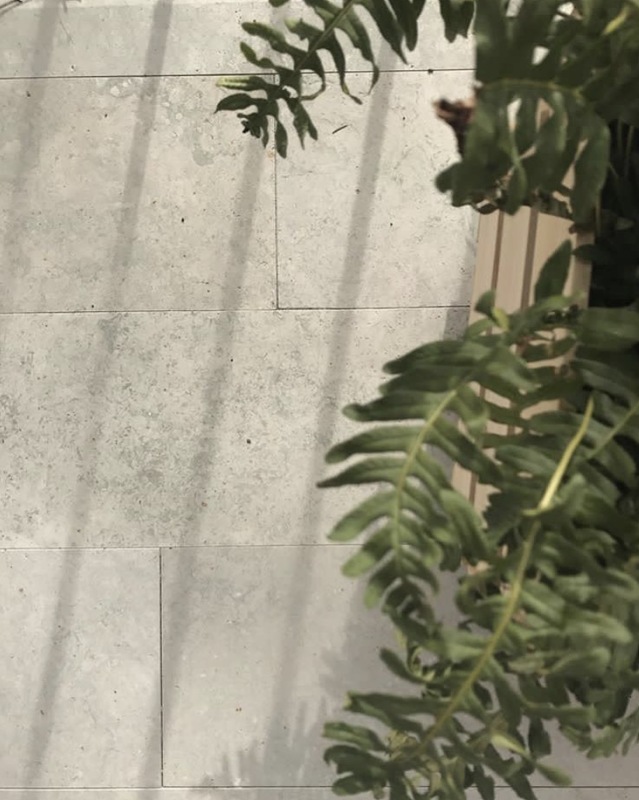 Ground tiles have a matte, mid gray tone while brushed stone gets a rugged, light gray surface. Pre-treatment and maintenance with stone polish is recommended. Windowsills (and ledges) made of limestone frame the windows in an elegant fashion and is a beautiful alternative to their wooden counterpart. Every window is different and therefore there are no set standards so don’t hesitate to contact us for a tender. We offer window ledges starting at 20 mm thick and lengths up to 2000 mm. Limestone ages in a fashion that makes it very suitable for outdoor use. Properly tiled, this stone will tell a story for generations to come. They key to a long lifespan for the stone is to have a stable basis for it. Incident to use a concrete foundation may be needed. However, all our stones can be tiled without a concrete foundation but will then have a minimum thickness of 50 mm with densely packed sand underneath. Limestone is very suitable for retaining walls. This means that the wall in itself has such a size that it can support an embankment without the need for an additional concrete wall. Please visit our Instagram @ostersjosten for inspiration!